They say in Nairobi, you have to a real hustler to make it, and this is no different with the street- hustler vendors of the city. They would do anything to make money even if it means selling you poo and urine. 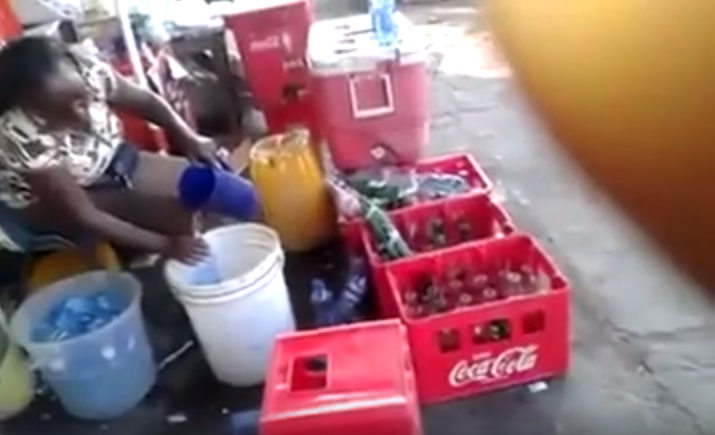 A Nairobi lady was recently caught on camera filling water bottles with dirty water to sell to street consumers. 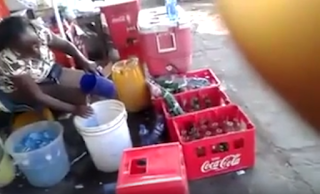 The lady, who was unaware of the guy taking the video, was also washing the bottles in dirty, brown looking water. You will probably never buy street bottled water after watching this video.